Everyone's going crazy over the soccer on tv with the World Cup having kicked off earlier last week - these promotions will make you go crazy too! I'm sure . Brazil put on a spectacular show during the opening ceremony, showing the world just how to party! Remember that by taking part in the promos below, you could also be earning Status Points, and for the entire month of June, if you've reached Platinum Status (or above), those Status Points will mean 'Entries' into the Casino Rewards 'Ultimate TV' draw to win a 64" 4k TV! 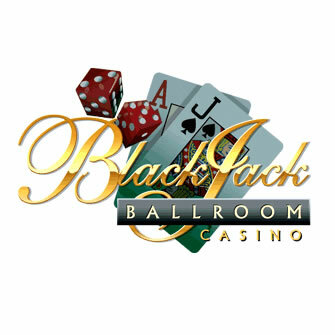 Be sure to check the 'My Promotions' tab in your Blackjack Ballroom Casino Lobby for more information. It's time to explore the magical and mystical world of the Orient in this beautifully illustrated slot that will relax your senses... until you start winning, that is! The Dragon Lady Logo is the Wild symbol – line up five of these on an enabled payline and you can expect to receive a 5,000 coin payout! Keep your eyes peeled for the Jewellery Box too – when it appears in any position on the first and fifth reels, it triggers the Free Spins Bonus Round. In this round 10, 15 or 20 Free Spins may be randomly awarded with all payouts being doubled! Play Dragon Lady this week, and the Top 5 Wagerers each day will receive $100 into their Rewards Account. Since the Brazilian samba dancers opened proceedings in Rio de Janeiro with such gusto, we thought you'd still be in a dancing mood and ready to play Boogie Monsters! There are two different Scatter symbols and two different Bonus Games – in one you can win up to 24,000 coins, and in the other, you can get Free Spins in which all wins are multiplied five-fold. The Free Spins Bonus Game is triggered by the presence of three or more Lamp symbols scattered anywhere on consecutive reels, as long as they are scattered from left to right. Try your hand at Boogie Monsters this weekend and 10 Lucky Players will be chosen to receive $100 per day. Another Spin Palace Millionaire Is Made!